Do you want to tell your story on ABC Open? 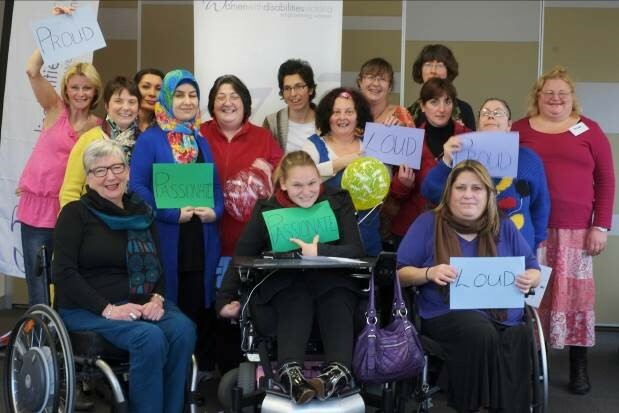 What’s been happening at Women with Disabilities Victoria? Women with Disabilities Victoria and Women with Disabilities Australia yesterday hosted a consultation on Safeguards under the NDIS for women with disabilities. This was a critical opportunity for the Department of Social Services to hear the particular concerns of women with disabilities as was the only consultation with women with disabilities in Australia. The consultation heard from a diverse group of women who expressed their concern that there be real and adequate safety mechanisms to recognise the rights of women with disabilities, to ensure services are respectful of women and that there be effective responses when things go wrong and a woman makes a complaint. WDV is strongly committed to advocating that the NDIS has simple and effective preventative safeguards for women with disabilities. These must be simple to use and accessible to all. We thank all of the women for their great input and trust that the NDIA and the Department of Social Services will make valuable use of the advice given. Alongside supporting the Safeguards consultation we have been developing fact sheets for women on the NDIS. These will be released in May and we will keep you posted on our website. The Empowering Women programs are being planned for Warrnambool and Shepparton. Read on to learn more about these programs. Women with Disabilities Victoria is offering a 5 day leadership program to women who wish to step up in their own communities. The Enabling Women Leadership Program is set to run in Shepparton and Warrnambool. This program is in plain English. Program Cost: Just $25. Financial help is available. 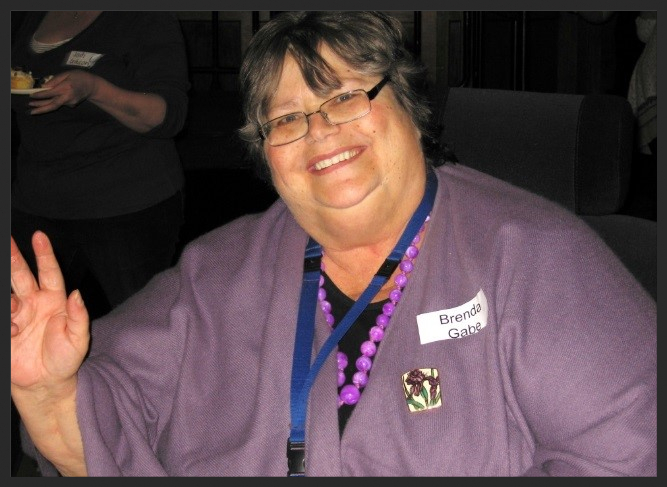 If you know a woman with a disability who is making a difference for women with disabilities please consider her for the Brenda Gabe award. All award nominees are acknowledged and celebrated at WDV's October 2015 AGM. The winner receives $2,000 for professional development. Many previous nominees have shared what a difference it made to them to be recognised. information about our previous nominees and award winners. Nominations close on the 20th July 2015. IMAGE: Brenda Gabe the namesake and inspiration for the Leadership Award. Order of Australia medals were recently awarded at Government House in Melbourne. Lesley Hall and Kristen Deane were awarded for their significant contribution to the disability rights movement. WDV would like to congratulate Kristen, and to congratulate Lesley's family. The awards ceremony can be viewed online. 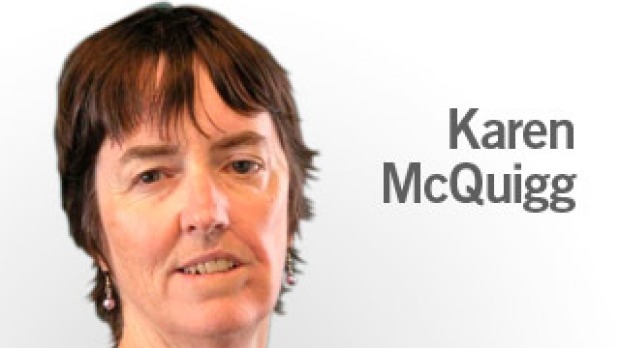 WDV are saddened to learn of the death of Karen McQuigg. Karen worked for Women with Disabilities Victoria in 2005-6 in its early days of being funded. As a Project Worker she assisting in the setting up of the organisation. As a Deaf woman, Karen advocated strongly for cinema captioning and Auslan courses - one of her strongest tools of advocacy was her writing, such as her piece in Fairfax papers, 'A swing of the government axe restores the deaf penalty.' Karen promoted disability access through her work in local government. Karen has been a cherished support to many women with disabilities, especially younger women, and she took every opportunity to speak for gender equity. We will miss Karen, and extend our sympathy to her family. BCNA’s National Summit 2015 is a major event that aims to build skills, knowledge and connections among individuals who support women and families affected by breast cancer in their communities. Their biennial national brings together our Community Liaisons, Member Groups (BCNA registered support groups) health professionals and key women in the community. The National Summit 2015 will empower women to take on specific responsibilities in their community by providing them with the information and confidence to take action when they return home. The program will feature a range of presentations by guest speakers and a series of workshop streams, offering many opportunities for information sharing and discussion. This is an opportunity to develop connections, engage and support other women with disabilities affected by breast cancer in the community. The event is being held this year on 16 and 17 July in Melbourne. A Registered Women’s Health Nurse from the Royal Women’s Hospital will be conducting monthly health clinics at The Living Room about contraception, painful periods, pap tests and STI checks. The service is free and confidential, and delivered in a female-only environment on 2 sessions. Lunch is also provided on these days. No appointments are needed – just drop in. Time: 10am to 12pm on Tuesdays 21 April and 19 May. For any queries, please call 9945 2100 or email inforequests@wire.org.au. The Women's Mental Health Network Victoria is working on a submission to the Royal Commission into Family Violence Victoria. They invite women with a lived experience of both mental illness and family violence to attend a forum to contribute to their submission. They are interested in your experience of accessing services to seek support – that can be Family Violence Services, the Police, the Court System and/or Mental Health Services. Did you find the support you needed? If you didn’t, what would make the system better? What are your suggestions to make the system better for women with mental illness who experience family violence? Your contribution will be treated confidentially. Please let the Network know if you will attend by emailing admin@wmhnv.org.au or calling 9663-6733 (ask to be put through to Sally Gibson) by 1st May. Counselling staff available for your support if needed. There are four ways to have direct input into Victoria's Royal Commission into Family Violence. The Royal Commission into Family Violence will hold a consultation for women with disabilities. Require support? The Royal Commission can organise disability and transport support for women who make the request when they RSVP before Monday the 18th of May. The Royal Commission into Family Violence has commenced its community consultations around Victoria. Consultation locations have not been publicised, but interested people (those who have experienced family violence or work in the sector) can call the Royal Commission to register their interest in attending. The phone number for registrations of interest in attending is 1800 365 100 and the line is open Monday to Friday, 9 to 5. You can make a written submission to the Royal commission. You can write about your experiences of family violence, the experiences of people you know, or share ideas about the family violence system. There are terms of reference for the Royal Commission.One of the Terms of Reference specifically mentions disability: it asks about "the needs and experiences of people affected by family violence with particular regard to children, seniors, Aboriginal and Torres Strait Islander communities, culturally and linguistically diverse communities, gay, lesbian, bisexual, transgender and intersex communities, regional and rural communities and people with a disability and complex needs. Women seeking assistance writing submissions are invited to contact the Royal Commission. They can help over the phone, via email, or meet you somewhere to help with your written submission. Please feel free to send a copy of your submission to WDV for our information. This can be sent to wdv@wdv.org.au. Concerned that someone might be violating your privacy online? The SmartSafe website has Technology safety planning and safety tips. Joanna Fletcher (Women's Legal Service CEO) and Paul Linossier (Our Watch CEO) will join Anglican Archbishop for Melbourne Dr Philip Freier for a free public conversation entitled “This Can’t Continue: Ending Domestic Violence”. The panel will discuss the causes for the huge increase in domestic violence in Australia, and what can be done about it. Book online. The Office of the Disability Services Commissioner have an online Easy English story of Nelly. Extracts follow, for the full Easy English version with images visit DSC News. Nelly’s self-advocacy group want to learn more about making complaints. They want to know how to make complaints, who to talk to. Nelly suggested to the group that they have someone from the DSC come and talk to them. Everyone agreed. Nelly phoned DSC and spoke to Clare. Clare and Nelly organised for Clare to come to the next advocacy meeting. Nelly is in a self-advocacy group at her disability service. She thinks that everyone should know how to speak up if they are not happy with their service. At the meeting, Clare explained to everyone what a complaint is. Clare told the group that It’s OK to make a complaint. Clare explained that they can talk to DSC about their complaint. Disability services can contact DSC too. We can speak to people with disabilities. They can speak to disability service staff. You do not need to pay any money to speak to people about making complaint. Contact the Disability Services Commissioner. City of Boroondara Council's Annual Community Strengthening Grants open on Monday 27 April. Up to $10,000 is available for projects and activities that strengthen Boroondara's community. Information sessions are scheduled in May. More information is available on Boroondara's website. Your voice is important to the Victorian Multicultural Commission about issues affecting women in your community. Share your experiences, opinions and ideas about multiculturalism, and let them know how the Victorian Government can help to make it work better. Multicultural Women’s Forum is part of the VMC’s annual community consultations. Include interpreter needs in RSVP. The Premises Standards came into effect on 1 May 2011 and are designed to provide people with disability dignified and equitable access to buildings, and certainty to industry that they are complying with the Disability Discrimination Act 1992 (DDA). Submissions close on Monday 15 June 2015. Links to the terms of reference and background documents are available on the review website. Geelong (Waurn Ponds) - Friday, 8 May 2015. When you RSVP please advise of required supports such as Auslan interpreters or hearing loops. The Scope Outcomes Project is a national, multi year project to test some surveys that are designed to measure the outcomes of disability services, as experienced by people with disabilities. The project will result in surveys that can be used by disability service providers in the future. Adults with disabilities (and/or carers or support workers) are invited to complete the anonymous survey online at www.scopevic.org.au/scopesurveys. The project has ethics approval from Scope. The surveys are accessible to people with a wide range of abilities. We have standard and easy English versions of surveys and the website works with a range of assistive technologies. I would be grateful if your organisation could help promote the research to adults with disabilities within your services. Other organisations have added a link to the survey from their organisation’s website and promoted it on their Facebook page or newsletter. It would be great if you could help us by doing something similar. ABC Open is a website of the ABC and they do stories about all different people and communities. The stories can be text or photos or video or audio. Disability activist Stella Young wrote: “I realised at 17 I was not wrong for the world I live in. The world I live in was not yet right for me.” If you have a disability, what has been the one thing that has made the world more right for you? Or are you still waiting for it? Did you have to fight for it, or was it offered? Share your story and opinions in 300 – 700 words by midday Monday April 20. Submit items to ABC Open. the ‘pinnacle of all things baked in Melbourne’ is hosting an exhibition of paintings by Northcote artist, and woman with a disability, Asphyxia. Celebrate the launch with drinks at 6pm on Friday 15 May.